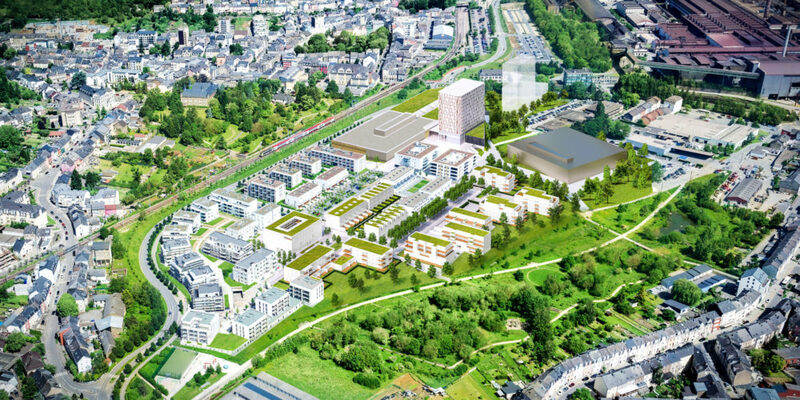 Living in the heart of the Kirchberg: IKO's first residential project. 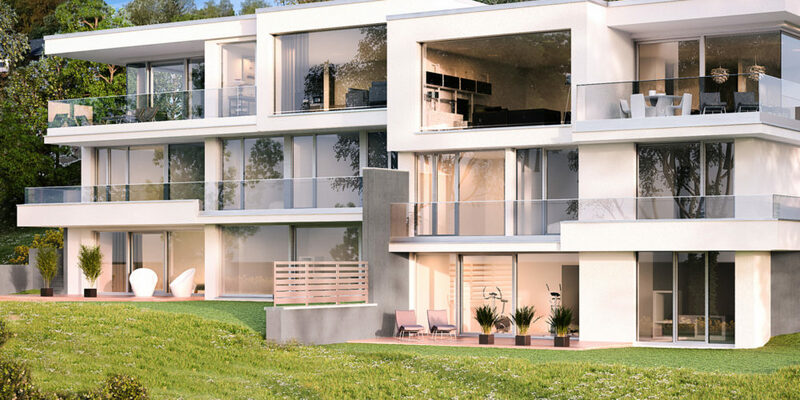 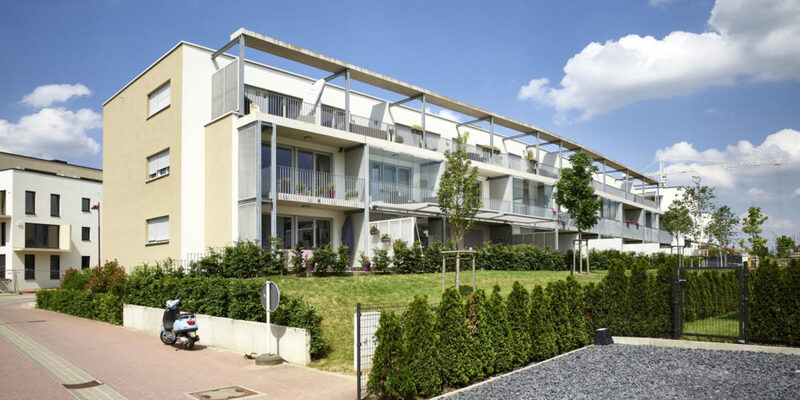 Lying on the Kirchberg plateau close to numerous sports, culture, school and shopping infrastructures, Triodos consists of three urban villas with cubic lines. 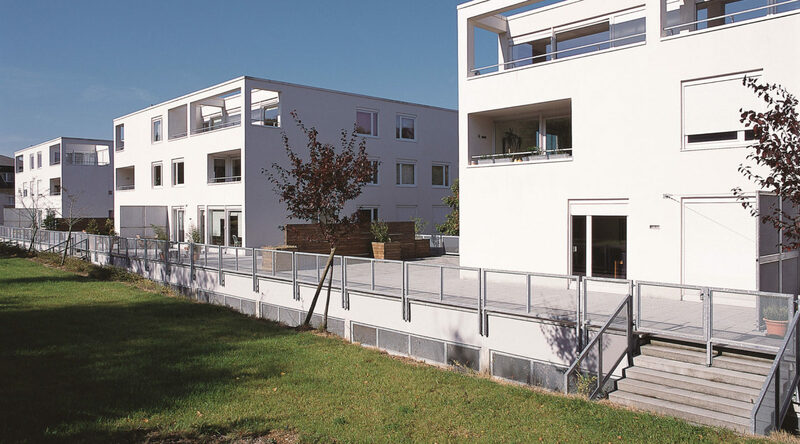 As well as being one of the first residential buildings designed with a flat roof, the originality of Triodos lies in the arrangement of the apartments: laid out around the corners, they all benefit from two aspects and a small balcony, making life extremely comfortable for the residents. 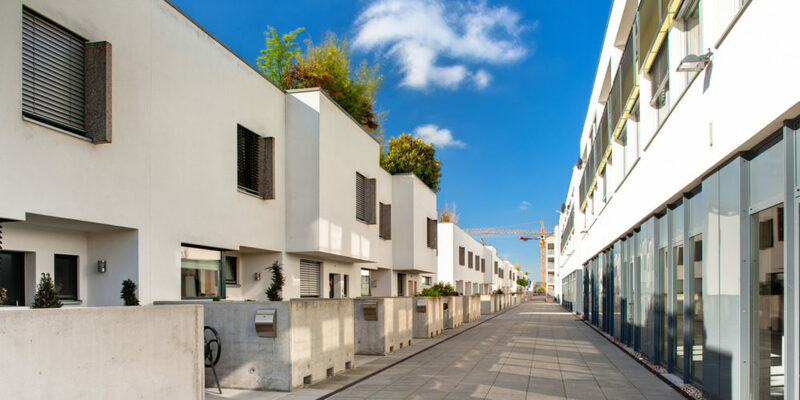 A contemporary designed and ultra-comfortable residential quarter close to sports, cultural and commercial facilities on the Kirchberg plateau.